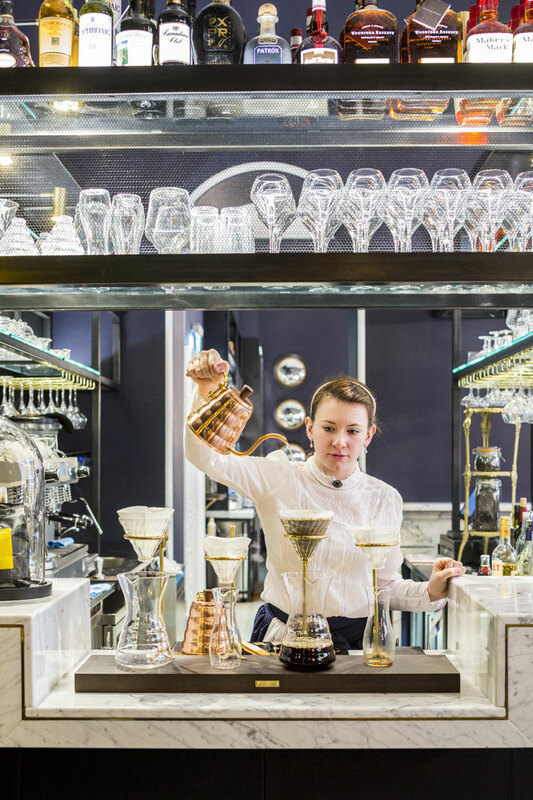 Pennethorne’s is a new cafe and bar located in the Somerset House, one of London’s large cultural institutions. The venue is named after Sir James Pennethorne, a highly-reputed architect of the 19th century. The design of the space was based on his discoveries during his travels through Europe which is why it is rich and dark. 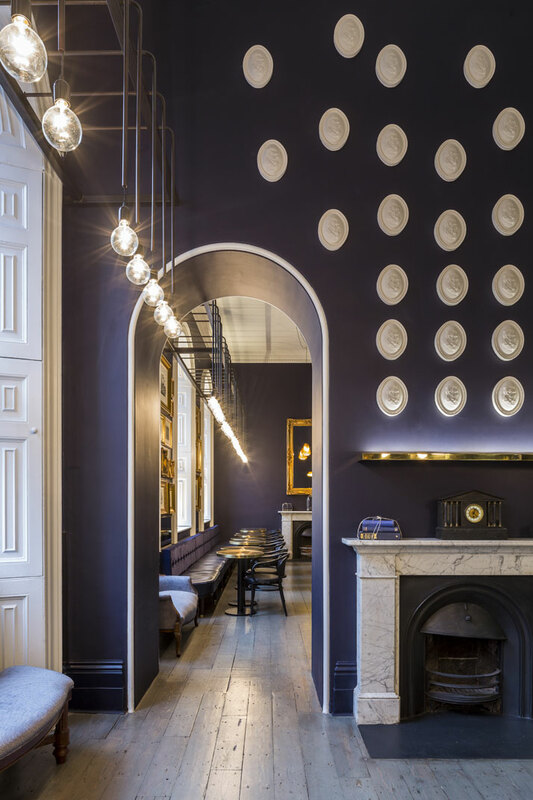 Designed by SHH, the restaurant now represents a more up to date look of the initial design found in Sir James story. The use of bronze, dark blue walls, vintage pieces, all helped bring forward this rustic look. The elongated space is divided by a wall which has been covered with no less than 50 cameos of Sir James, each 25 cm high and an exact copy of the architect’s portrait. Loved the branding and all the details. Check the slideshow below to see more images.